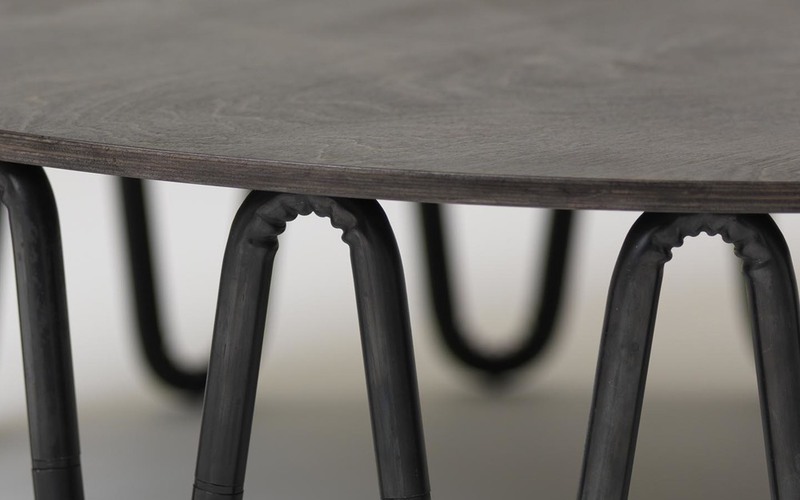 Wrinkle bent mild steel forms a continuous line to support the glass or birch surface of this coffee table. Contact us with any enquiries. Blackened mild steel tube, birch ply or toughened glass.